You could be breaking the law if you allow your dog to be 'dangerously out of control'. A dog is deemed to be 'dangerously out of control' if it injures a person or behaves erratically, making a person believe it may injure them. The maximum penalty for allowing your dog to be deemed dangerously out of control is two years' imprisonment, or a fine - or both. You can be charged with malicious wounding if you allow your dog to injure someone. The maximum penalty for this is five years' imprisonment. Your dog could be destroyed and you could be banned from keeping a dog if you do not keep it under control. Alternatively, you could be made to keep your dog muzzled when taking it for a walk. If your dog is dangerously out of control in its home or garden, the police - or anyone else worried about the dog being a risk - can seek a control order. If your dog injures another person's animal, or an owner of an animal reasonably feels that your dog could injure them if they tried to protect their animal, an offence may have been committed. 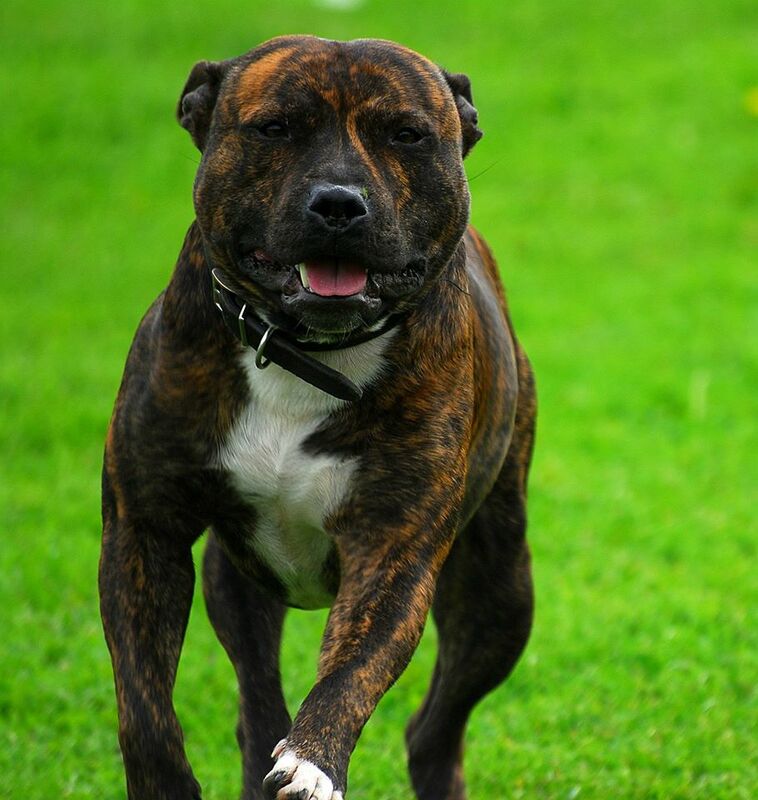 Pit Bull Terrier (can also be referred to as an American Staffordshire Terrier, Am Staffs, Irish Staffordshire Bull Terrier, Irish Blue or Red Nose, and some kinds of American Bulldogs). The police have the power to seize your dog if they believe it is a banned type. The maximum penalty for possessing a banned dog is £5,000 or six months' imprisonment - or both. You must not own, breed from, sell, give away or abandon any banned dog.